In a recent article of the Puget Sound Business Journal, homeowners who sold their home in King County (Seattle) received an average of 48% gain over the original purchase price as of October 2015. 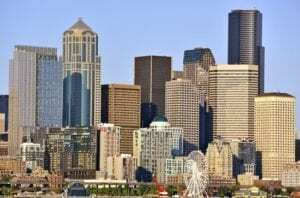 This puts King County near the top of the 127 US counties reported by RealtyTrac. Only six other counties surpassed King County in the average increased; most found in California. The counties analyzed saw at least 500 sales in October and home price data was available on both the most recent home purchase and previous purchases. 12% of the counties sold for a lower price than what they were purchased for and counties with the biggest loss were Burlington County, New Jersey as well as counties in the Chicago metro area, Memphis, and the Greensboro metro area. Of counties where homeowners received more than what they originally paid included Alameda County in California, Santa Clara County, the San Jose area, Riverside and San Bernardino as well as Multnomah County in the Portland metro area. The average profit for a King County homeowner was $136,082. King County remains to have a sustained price appreciation were median home prices were up 10% from a year ago, October 2014. The Seattle market remains remarkably tight and competitive. Homeowners are seeing multiple offers leading to rapid price escalation. If you’ve been on the fence about selling, now might be an excellent time to consider your purchase price versus the profit you could gain if you sold today. Selling in the winter months actually has been proven to sell faster and for potentially more profit as the amount of competition is less and homebuyers are more serious. For more information please contact Mary Pong.